On average, 10 million older adults participate in activities at a senior center in their community each year. The National Institute of Senior Centers (NISC) identified that the transition of senior centers toward a wellness center model can increase older adults’ access to evidence-based health programs to support aging in the community. Nationwide, research conducted by NISC showed that 83 percent of senior centers provided evidence-based programs in 2015, the most popular of which were chronic disease management, balance training, and diabetes management. Access not only to wellness activities, but also to peer supports and education provided within their communities have proven to be most effective in increasing social connectedness and improving health outcomes for older adults. Many senior centers today have been reinventing themselves as senior wellness centers – like the Serving Seniors’ Gary and Mary West Senior Wellness Center – moving away from the traditional perceptions of senior centers (e.g. bingo and community meals) that lost appeal for much of the aging baby boomer population. Through Serving Seniors’ Gary and Mary West Senior Wellness Center, low-income seniors in San Diego, California are offered a “one-stop” solution—through partnerships with more than 30 nonprofit organizations to provide access to health care , dental care, legal and financial support, and housing assistance, all under one roof. In addition, the center’s congregate (communal) meal program offers two nutritious meals, 365 days per year to every senior who enters its doors. Investment in the redesign and modernization of senior centers into 21st century community wellness centers is needed to continue to foster and scale potential impact of these programs for aging communities. The rise of impact investing creates a unique opportunity to integrate age-friendly interventions within community development. Investments can vary in size, from local investors (e.g. community foundations, local/regional health systems and philanthropy) to larger nationally-focused investments that leverage private investors, public funds and philanthropy (e.g. AgeStrong Fund, Healthier California Fund, pay for success). Socially conscious investors now have more opportunities to direct their funds toward evidence-based solutions, maximizing both impact for at-risk and vulnerable communities and the return on their investment. Models that provide opportunities to maximize community wellness across lifespan also offer a chance for deeper effect in low-income and underserved communities and positive outcomes for impact investors. 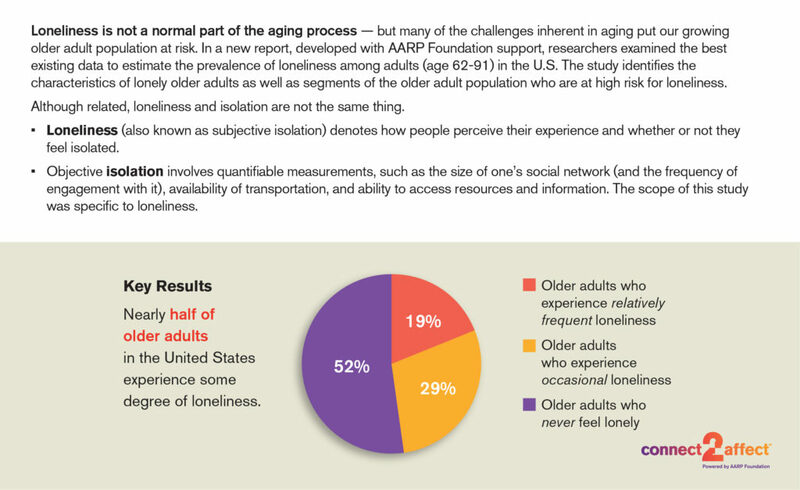 Social isolation in older adults can lead to a significant decline in overall health and wellbeing, including chronic diseases. 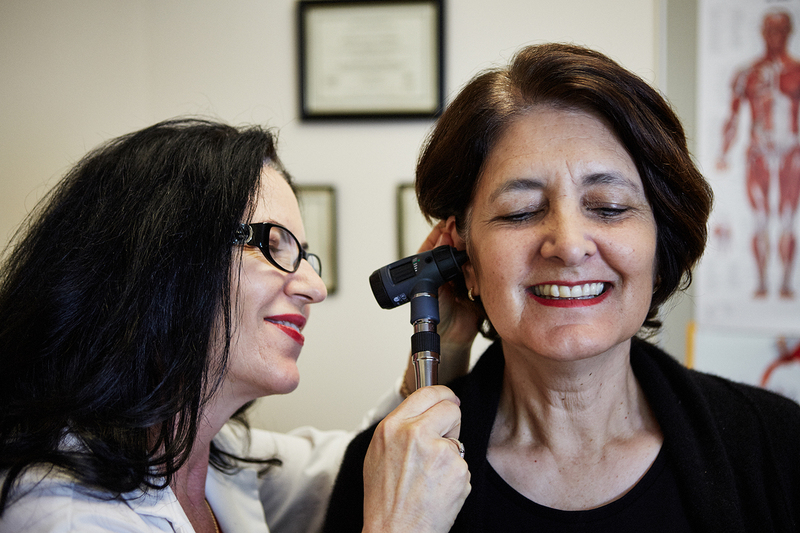 Sixty percent of American adults have at least one chronic condition, and 42 percent have more than one chronic condition. Evidence-based solutions for increased social connectedness exist. West Health enables seniors to age in place with access to high-quality, affordable health and support services, and the Aging and Disability Business Institute is building and strengthening partnerships between aging and disability community-based organizations and the health care system to improve the health and well-being of America’s older adults and people with disabilities. This Fast Fact is part of a series in partnership with Capital Impact Partners (@capitalimpact) and West Health (@westhealth).